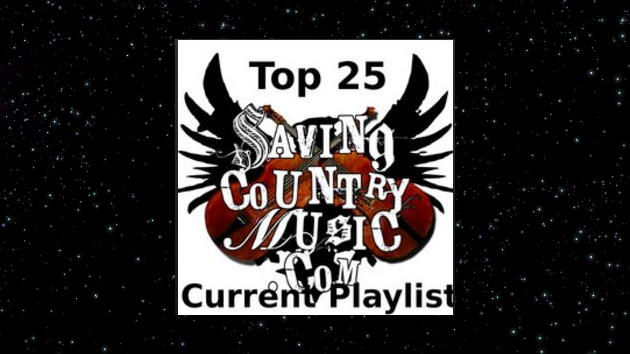 Starting off the newest additions to Saving Country Music’s Top 25 Playlist is singer and songwriter Lauren Morrow, formerly of the Georgia-based band The Whiskey Gentry. Now relocated in Nashville, she’s launching a solo project, and doing it in style with the song “Viki Lynn” off her just-released EP. Also just released was Adam Hood‘s latest record Somewhere in Between, and his song with Brent Cobb called “She Don’t Love Me” makes the list as well. Singing duo The Brother Brothers were one of the standout discoveries for Saving Country Music in 2017, and now signed to Compass Records, they’re getting ready to release their debut LP Some People I Know. Ahead of the album, the song “Red and Gold” gives a great example of why this project is one to keep on the radar. The duo’s new album comes out October 19th. Also added is a great traditional country single called “Dolly Would You Pardon Me” by south Alabama singer and songwriter Christina Christian. Also Kristina Murray‘s slot on the playlist has been freshened with her song “Slow Kill” off the recent release Southern Ambrosia. All songs should be on Spotify, Google Play, Amazon Music & YouTube. A lot of new tracks (mostly Texas & Australia). Check ’em out! One of the biggest stars of Australia, Troy Cassar-Daley (49) won 33 Golden Guitars, 9 Deadlys (for aboriginal artists only awards) + ARIA, APRA & CMAA-awards. He released more than a dozen albums incl. 6 gold & platin albums. In 2017 he was the 50th inductee in the Roll of Renown (the most prestigious award in australian country music). Like the majority of his singles “Wouldn’t Change A Thing” went to #1(Australian Country Airplay Top 40). My goodness, the Brother Brothers are Simon & Garfunkel reincarnated. Brother Brothers are great. But don’t we already have the reincarnation of Simon & Garfunkel? They’re called the Milk Carton Kids. Hey Trigger, any chance you’ve listened to Ben Danaher’s debut LP? Yes I have. It’s on the radar. What about Justin Moore’s new song and old glory by jerrod Neiman ? Just my 2c, I’m a cd person, and people keep pushing me to stream because everything is available. But i find it simply makes people focus on random disconnected tracks and never get to appreciate a whole album. I stream a lot these days, and I normally choose to stream a specific album at a time. IMO the great thing about streaming is you can choose how you want to listen, and it’s all right there at your fingertips. I agree that it can be great, and if someone else has it i can tell them about an album, but i miss flipping through my collection to find an album to listen to. The way I utilize this playlist is to highlight album releases through songs. That is why I include the album information in the playlist, and also talk about the albums that each newly-added song is from. The whole “Current” idea is to highlight music from recently-released albums, or from albums that are about to be released so that the album is on the radar of more individuals, especially ones who may not be prone to reading album reviews or news stories on releases. Occasionally a single is included here too, but the underlying point is to redirect people to albums, while also attempting to give artists and songs often overlooked in the big Spotify playlists a bit more attention. You’re doing a great thing. I was just putting my general opinon of spotify out there just to see if anyone felt the same. Thanks Kyle for adding Loretta to the play list. If Michigan Rattlers aren’t on your radar yet they need to be! They knocked it out of the park with their debut album Evergreen. Trigger, I’ve listened to your top 25’s radio station on Spotify for a couple of hrs today. A very decent listen…. However, I was wondering about your thoughts on this particular function; would you say it’s a good way to find other like minded artists not on the current playlist or does spotify manipulate the station negatively somehow? Not exactly sure what you’re asking, but I do think Spotify does a decent job curating suggestions of artists based on others. It can be tricky when you’re dealing with independent artists because some of them don’t have enough metadata to make smart suggestions via artificial intelligence, but it’s not bad. There’s a function on spotify that allows you to listen to a ‘radio station’ based on an artist, song, album, etc – in this case your top 25 playlist…. Your answer still pretty much covers my question anyway. Many thanks!